A review of Union Standard Lloyds Health Insurance Company leads to Union Standard Lloyds, a division of Union Standard Insurance Group. 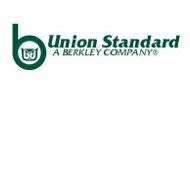 Union Standard is a commercial insurance provider in eight states in the Southeast and Southwest. Lloyds offers commercial lines of casualty and property insurance in the state of Texas. Use your zip code now to find health insurance rates just for you. Lloyds is part of the company W.R. Berkley Corporation, an international holding company. The W. R. Berkley Corporation has subsidiaries in all forms of insurance, finance and business services. Lloyds operates through the headquarters of Union Standard in Irving, Texas. Founded in 1975, Union Standard Lloyds was incorporated and licensed in Texas in 1983. In 1998, the company moved its home office from Dallas, Texas to Irving, Texas. They stopped offering personal lines of insurance in 2001. The company became part of Union Standard in 2011, providing property, and casualty insurance in Texas only. Lloyds offers property and liability insurance to businesses and companies to protect the company from a myriad of financial dangers. The Texas Department of Insurance, lists the insurances offered by the company. The company provides insurance for automobiles and other vehicles such as aircraft liability and auto liability and damage. It provides inland marine and ocean marine insurance to cover goods and vehicles that ship merchandise over land or water. It also offers boiler and machinery insurance to cover the breakdown of equipment or systems. Farmers and ranchers can get additional coverage for livestock, and destructive weather such as rain or hail. Lastly, Lloyds offers workers compensation to businesses and companies to cover medical expenses and wages of employees who are hurt while on the job. A.M. Best, a rating agency that is designated a Nationally Recognized Statistical Rating Organization, or NRSRO, by the US Securities and Exchange Committee, gave Lloyd’s a strong financial rating in 2011. The rating of A+, or Superior, designates that the company, in A.M. Best’s judgment, is financially sound and able to meet the fiscal obligations associated with providing insurance. Standard and Poor’s, another NRSRO, also gave Lloyds high ratings. The company earned an A+ in both financial strength and issuer credit from Standard and Poor’s. An A+, or Strong, rating indicates that the company will be able to continue operating. The ‘+’ indicates that the rating could be raised to an AA or AAA, indicating that Lloyd’s could weather any economic storm. Fitch Ratings, yet another NRSRO, also rated Lloyds at an A+ with a stable outcome. Again, it shows a Strong rating that could improve in the future. Fitch Ratings joins the consensus that Lloyds is in a healthy financial state for an insurance provider. The Better Business Bureau, ranks W.R. Berkley Corporation, the holding company for Union Standard and Union Standard Lloyds, at an A+. The BBB is an agency that rates companies’ complaint resolutions in order to give consumers an idea of a company’s reputation. An A+ is the top level awarded by the BBB; Berkley was awarded the high rating because it had received zero complaints in the last three years. The Texas Department of Insurance listed no justified complaints for Lloyds in 2010, 2009 or 2008. The Texas Department of Insurance lists Lloyd’s financial information for 2008 through 2010. Total assets in 2010 were $2,328,322, almost a full million dollars lower than the total assets in 2008. Total liabilities in 2010 were $1,590,723, again, almost a total of a million dollars less than total liabilities in 2008. Total premiums in 2010 were $8,821,033; that amount is $4.5 million less than total premiums in 2008. The offices and phone numbers for Lloyds are the same for Union Standard Insurance Group, so further contact information, such as emails for particular departments and employees, can be found on Union Standard’s Contact Us Page on the company’s website. Enter your zip code now to get a health insurance quote that fits just right.